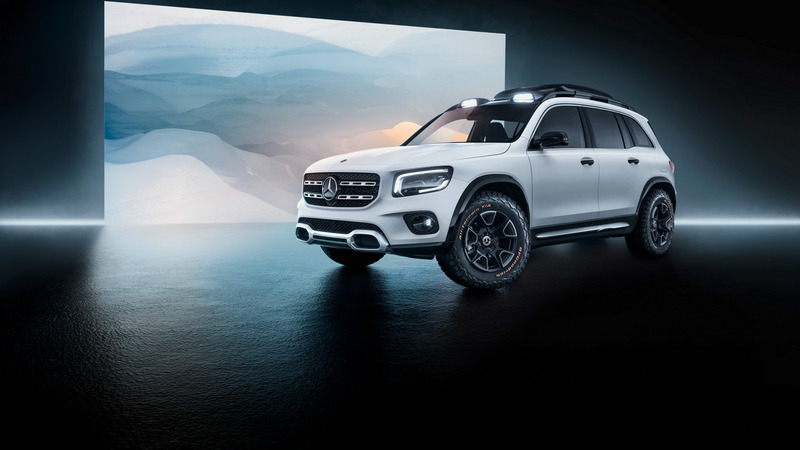 Mercedes-Benz is unveiling a new concept at Auto Shanghai that it says looks at what crossovers it could build on the same platform as the GLA. The Concept GLB is a small seven-seater. 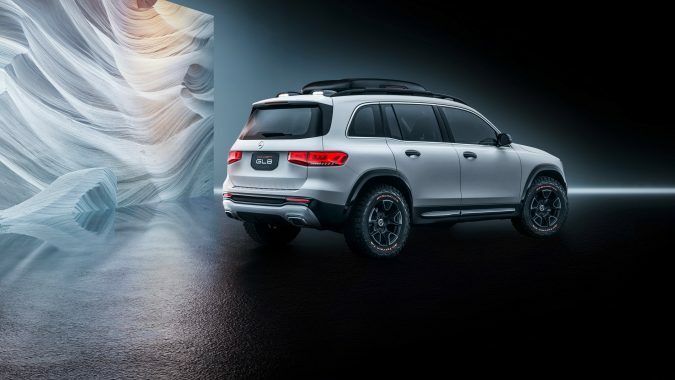 While the brand shifts to more car-like crossovers, especially the four-door coupe-style, this one is decidedly rugged. 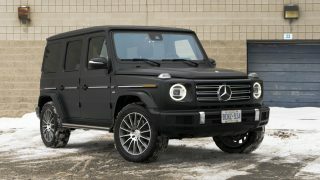 This is a square-looking, muscular design that Mercedes says has “a distinctive presence” in the company’s lineup. Reduced lines and an upright grille and glass add to the look. 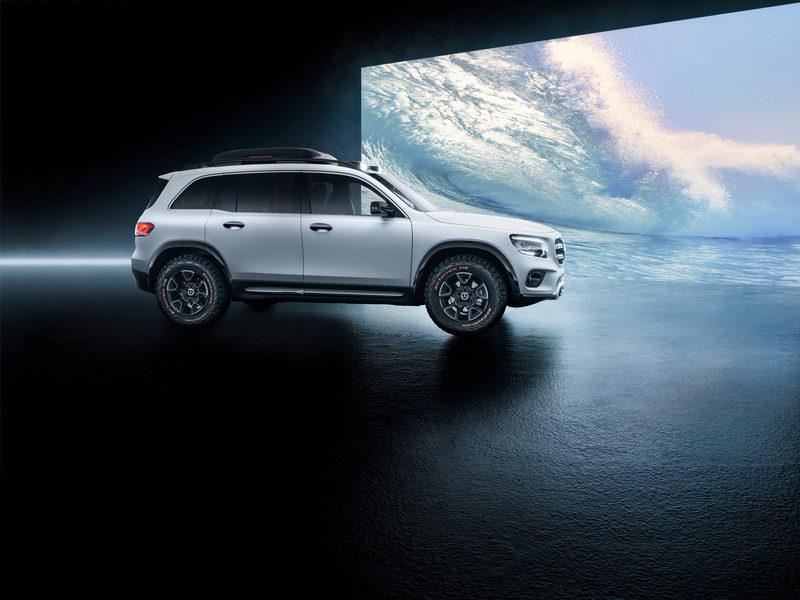 Mercedes says that the doors help keep the openings clean and make it easier to get in and out. The tall greenhouse gives it a bigger sense of space. Inside, this three-row grows over the GLA it’s based on. At 4,634 mm long, it’s about 230 mm longer. The wheelbase has grown by around 130 mm. 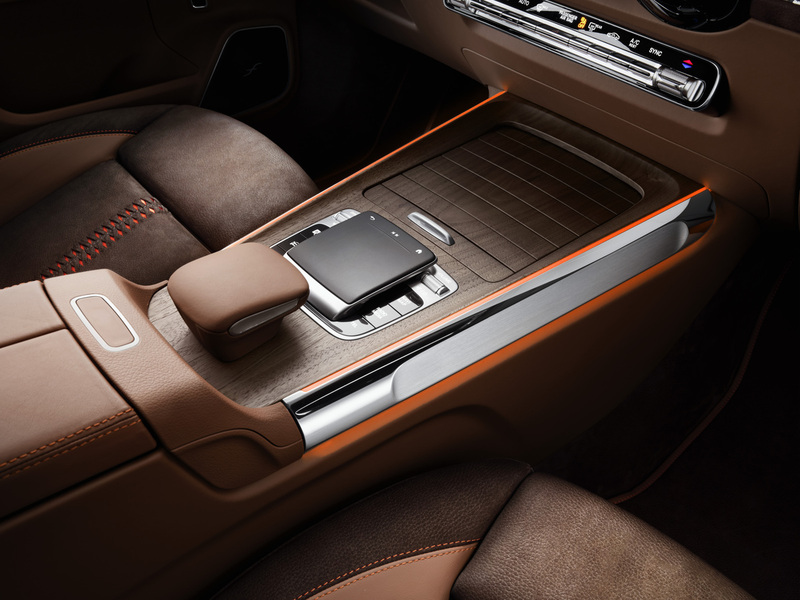 That gives the seven-passengers – the first time MB has made a three-row compact – a little more room to relax. 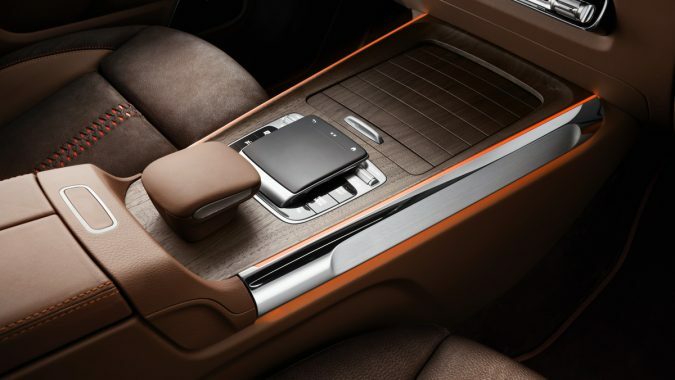 The middle row of seats gets an easy-entry function that slides the seat forward. 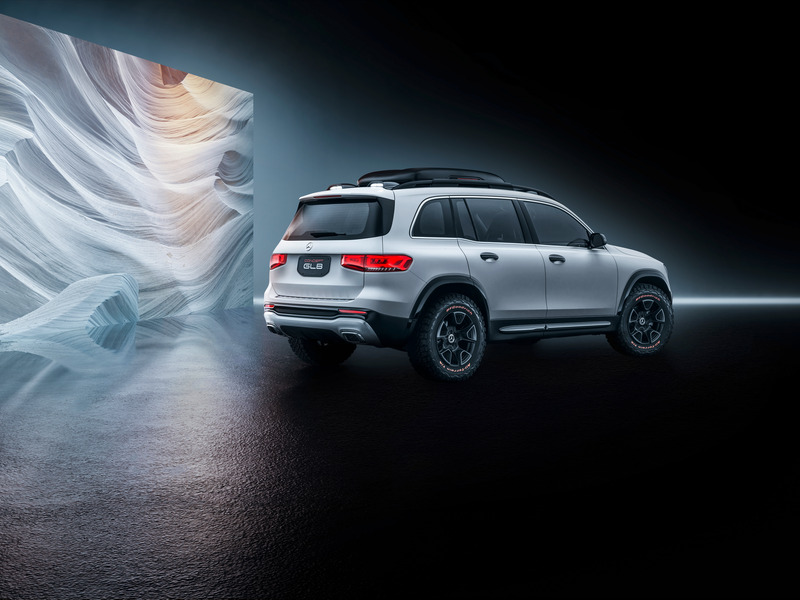 The row can also slide forward by 90mm for more space in the third row or rearward 40 mm to make it a five-seater with more legroom and more cargo space. 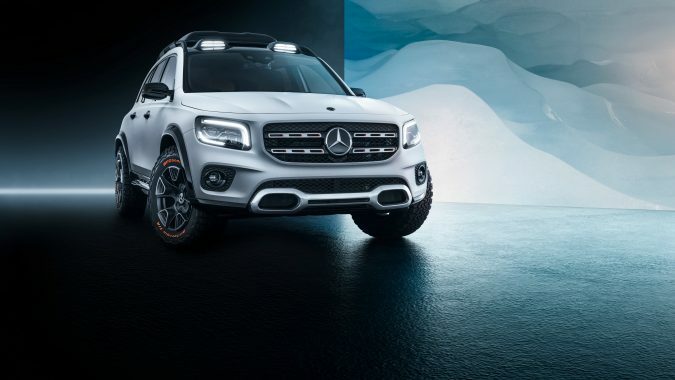 Mercedes says that the GLB can fit up to four child seats. The concept doesn’t hold back on luxury, either. 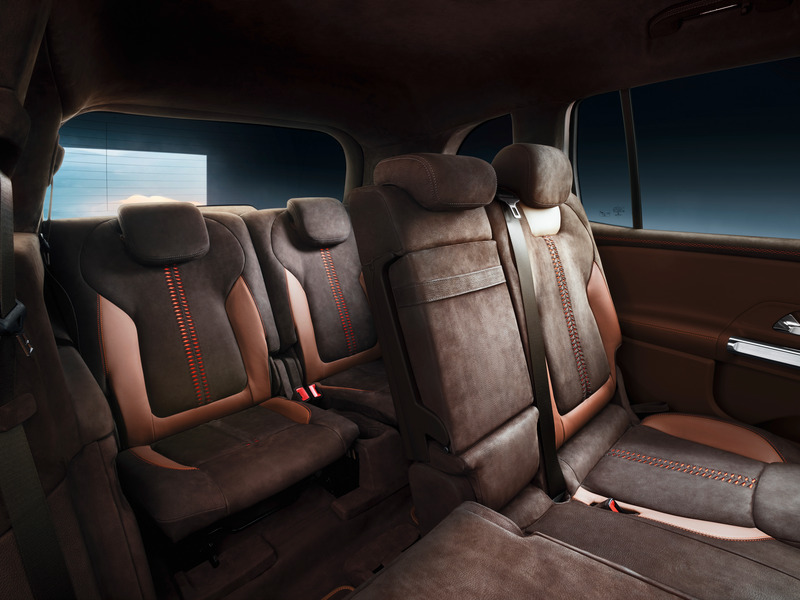 Open-pore walnut trim, decorative pedal inserts, and Nappa and nubuck leather upholstery. 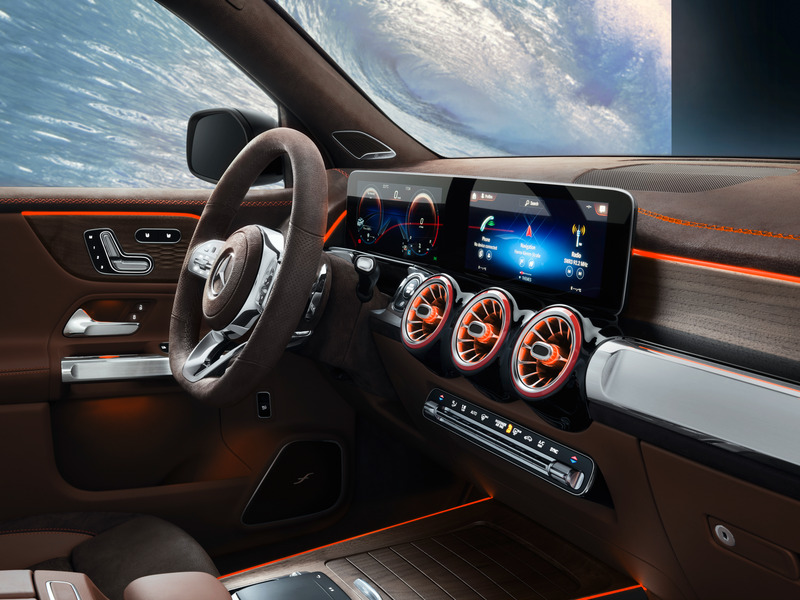 The dashboard is much like the one from the new A-class. A widescreen digital cockpit, and MBUX natural voice controls. 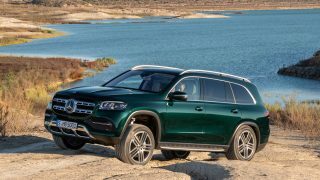 But Mercedes-Benz has added off-road styling elements and an AC control that’s designed to look like a solid aluminum cylinder. Powering the GLB is a four-cylinder turbo with 221 hp and 258 lb-ft of torque. 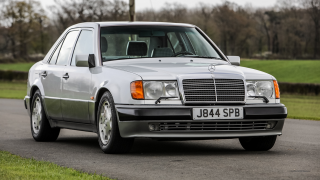 It’s backed by an eight-speed dual-clutch gearbox. 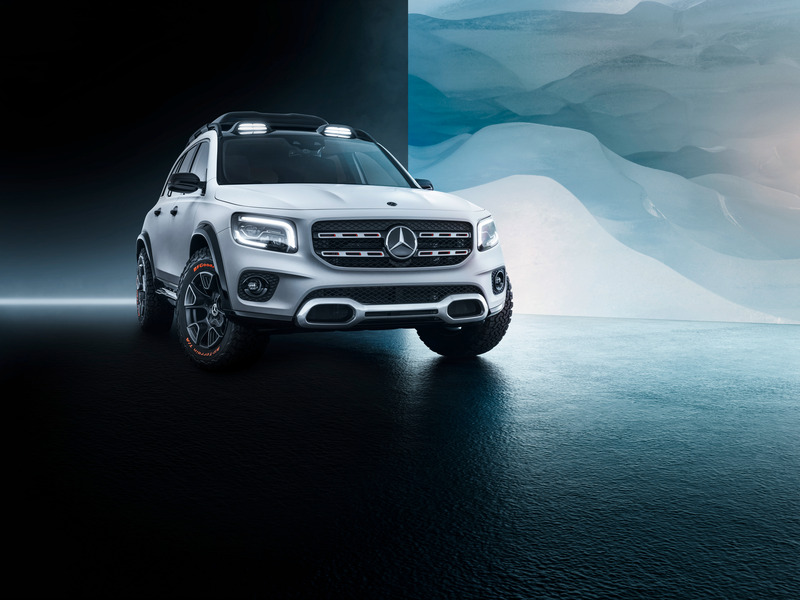 The 4Matic all-wheel drive can vary how much power it sends to the rear wheels for handling and traction. This is still a concept, so no word on if it’s headed for production anytime soon. 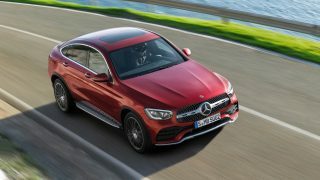 But Mercedes-Benz pointed out that the Concept GLA debuted at the same show in 2013, and became a production car the next year. So we’ll wait and see on this one.